Not what I was hoping for, but check out the time on that email! Just a little wink from God. Thanks! ... and we thought, "why not?" Let's give it a shot. 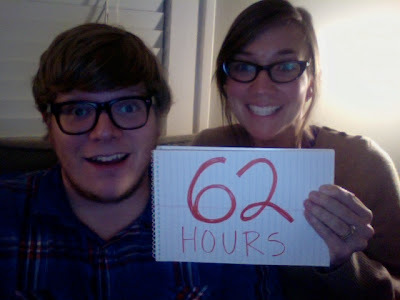 Let's countdown and see what happens 62 hours from now! Ready... go! Can you tell we're getting to that delirious part of our wait? It's been 3 months since we saw our son! Ridiculous! Also, there is a very big meeting happening at the U.S. Embassy in Ethiopia this week! Ambassador Susan Jacobs, Special Advisor for Children's Issues at the U.S. Department of State, and Joanna Ruppel, Chief of International Operations for U.S. Citizenship and Immigration Services, will all be there to discuss inter-country adoption in Africa and specifically in Ethiopia. They will also discuss Embassy procedures and answer questions. I'm hoping this meeting will clear some things up so that we can see clearance for a lot of families. There's a group of about 20 of us from Children's Hope who are just stuck right now. Only 3 families have received clearance! The good news is, our agency has been able to see what the Embassy wants from the families cases that were submitted a few weeks ago. Now they are ready with the documents as soon as the Embassy requests them. Hopefully that means that by the time we actually get submitted things will move along a little quicker. 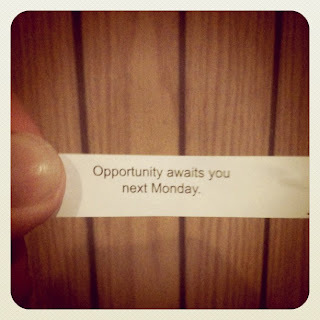 Here's to a new week! I feel like it's going to be an exciting one! About a month ago, everything was running so smoothly and we were on track to bring Arthur home around the first week of September... (at the latest!) Aaron and I were busy putting the finishing touches on the room, I was making plans for maternity leave, we met with pediatricians, even had Arthur's bag packed! It was such a joyful time as we felt Arthur's homecoming so near! We would sit in his room and read books and look at all his things. We were ready! Our hearts were readying for this change. We were becoming parents. When we got the news that we might have a considerably longer wait, it was such a shock! It took time for us to adjust to this change. We had already imagined so many things with this nine month old boy. I was all caught up on "What to Expect" in month nine. We pictured one last summer swim with our boy. We were picking out his Halloween costume. For a while I just couldn't believe it. I kept expecting good news, only to be disappointed again. Day after day, that became too painful. 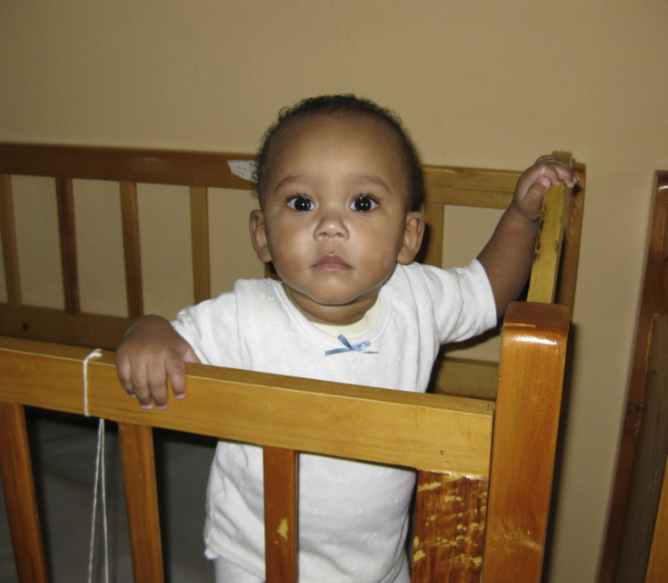 Keeping my heart fully open to our son and feeling the same pain every day was so hard. I wasn't getting my work done. I was forcing joy. Slowly, I closed myself off to that pain and disappointment. I stopped going into his room. I stopped hoping for and imagining a homecoming. It was just too hard to keep going there. "You're shutting off to your son! That's not ok!" I know there are so many adoptive families who have done this. Gone through this wait after meeting your child. How did you do it?? A few weeks ago, the Ethiopian adoption community caught wind of this Buy One Get One Free promotion on Ethiopian Air. News of this promotion spread just as all of the Ethiopian Adoptive parents were starting to go a little crazy and were desperate to see their kids. NOT a good combo! I mean, how can we really put a price on seeing our son? We'll never regret it. This boy really needs his mama! Better yet, we'll just go over there and wait it out! I know it sounds crazy, but we just HAVE to go! The more we walked down that bright and shiny road with blinking lights and signs that said "Go see your son", the more we found doors closing and a path that really led nowhere. We spoke with the agency about our idea to come visit. They were so helpful and gave us a lot of information, but she couldn't really guarantee that we would be able to spend a lot of time with our boy. Their staff at the transition home is so busy! Then my mom really let me have it when she said... "You know, this is really more for you and Aaron. Arthur wont remember this." Ouch! That hurt to hear, but she's right! Don't you love how moms can just give it to you straight. No, it's not ideal for Arthur to be in the transition home for this long, but he's healthy and the staff there are so sweet and loving towards him This is not a life and death situation. And even with help, we would still be spending everything that we have saved up for our second trip. If we are going to spend more money I think it would be more wise to spend it on a longer leave from work. This journey is tough, but I want to believe that God is bigger than all of this... bigger than the distance. Bigger than 2 more months apart. Bigger than the demands of the US Embassy. I know that this is the path he has us on and that all will be redeemed in the end. It was an uncomfortable thing for me to invite people into our home and pray with us. The day after I requested prayer (from almost every person I know) I felt so weak, so selfish. I know so many people who are going through things that just as or maybe even more difficult than this and I wished that I was stronger. A couple of friends encouraged me that day and told me that they really admired the way we called on our community and hoped that our example would lead more people to do the same in tough times. Those words gave me a new excitement leading in to our night of prayer. We had no idea what to expect, but we went ahead and gathered all the chairs we could find and fit them in our living room. When we began to pray I realized that EVERY CHAIR was taken! It was such an amazing night filled with beautiful words from our friends. It was perfect. Every prayer was so unique. Each one spoke about our Father's heart for us and our family. He's walking alongside us, sharing in our pain. Kelsey prayed through the story in Exodus about God leading the Israelites out of Egypt. She thanked the Lord for the path He chose for them. It was not the shortest path and the Israelites didn't understand. They panicked and doubted, but in the end it was clear that there was great purpose in that path. God did not forget them. God knew the best way! On Thursday we received the news that we would in fact have to wait for the courts to reopen. This was definitely hard news to take, but I'm trusting that there is a great purpose in this path that we can't see. So, the big question is WHEN DO THE COURTS REOPEN? Well... the courts could reopen anywhere between the end of September and the end of October. We probably wont know for sure until about a week before they open. Today we heard that the judge is back in Addis now and just might be back in the office next week. Oh, I hope!!!! 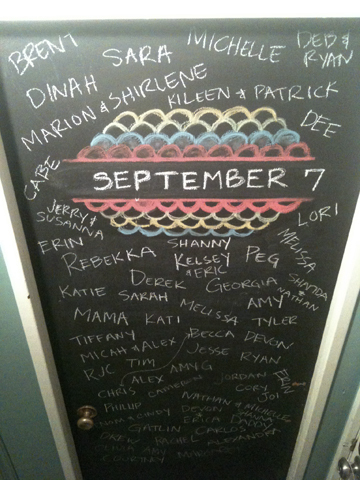 I knew a lot of people weren't going to be able to be there in person, and I decided to write down the name of every person who committed to praying on our chalkboard door. I love the idea that we can show Arthur later how many people prayed for us during this tough time. Thank you so much!! The weekend was long. and sad. I got so nervous last night thinking about what we might hear today. I knew there was a good chance that the news would not be good. Let me catch you up... A couple weeks ago we received news that we could not be submitted to the Embassy because of some mismatch paperwork. The big question then was "Do we need a judge to sign off on this fix?" If we did it would likely mean waiting until the courts reopen in October. Unfortunately, the answer is "yes we do need a judge to sign off on the fix," BUT last week our agency found a judge who has helped with things like this in the past. She was not willing to sign off on our decree without seeing all the paperwork to back it up. So, now we are trying to find someone who can get into the courts and gather the necessary documents to take to this judge so that she has proof and will sign for us. They are also going to go back to plan A, which was write a narrative explaining our case in more detail and then see if the Embassy would take another look. Does any of this really make sense? ...honestly, a lot of it doesn't. I have asked so many questions and have questions still... like "Why is our paperwork stuck somewhere in the courts instead of traveling with the rest of our case to the Embassy?" and "If the courts are closed, why are there judges still working?" That God would miraculously have this problem fixed and that we could be submitted this week. That God would prepare Aaron and I for whatever wait is before us. That God would begin to bond our family even while we're apart. That God would give us and our agency wisdom and clarity for our situation. Wow! This week has been tough. Full of uncertainty, worry, doubt, and pain, but through it all God has been so near and He has shown us SO MUCH! I can honestly say now that even if I could I would not change what happened last week. The first couple of days I felt like a toddler crossing my arms, scrunching my eyebrows and saying "NO FAIR!" We felt singled out. We felt like we did something wrong and we were in time out. Then the weekend hit and things got real! I could not shake the thought that Arthur was not going to come home. I tried to ignore it, but it just kept nagging. I didn't even want to say it out loud. I felt like saying it out loud would somehow give it more power. Plus, I didn't want to freak Aaron out! I was confused. I didn't know if this was just a lie or if this was God asking me to surrender. I sat in church Sunday searching scripture, texting my mom, texting Aaron's mom. I wanted answers! As I got up to leave, a woman at church stopped me and asked how I was doing... I told her "I just keep thinking the worst and I feel like God is asking me to give Arthur up. And giving him up fully means trusting Him even if we lose Arthur!" There. I said it! It was a miraculous moment of clarity. She, being a mother of three, encouraged me and gently confirmed that I was on the right track. It's something every mother has to do... and most of the time more than once. Well, people it's Thursday and I have given Arthur up to God three times! ha! I'm feeling a lot of peace. I've had to grieve my timeline and sort of gear up for something new. I have a deeper appreciation for this process and what a gift it is that we get to bring this little boy home! We are feeling your prayers and feeling so loved!